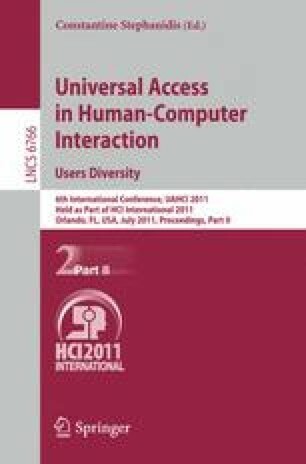 The objective of the research project was to present new possibilities of accessibility and usefulness analysis in virtual designing of the work environment for a disabled person. This new computer tool of graphic record of anthropometric and biometric data of the set of layers was employed for a number of spectacular analyses essential for the designing practice. Results of the following investigations were presented: transfer from the wheelchair into the car of a disabled person and the accessibility of the car interior for a disabled driver, accessibility of a supermarket space for a person on a wheelchair, accessibility of furniture and equipment within the space of a typical kitchen meeting the requirements of universal design. The objects of investigations and analyses were transferred to the virtual environment of the ergonomic module of CATIA v5 computer system.